Product prices and availability are accurate as of 2019-03-19 15:18:35 EDT and are subject to change. Any price and availability information displayed on http://www.amazon.com/ at the time of purchase will apply to the purchase of this product. Rural Botswana is the backdrop for When Rain Clouds Gather, the first novel published by one of Africa's leading woman writers in English, Bessie Head (1937-1986). 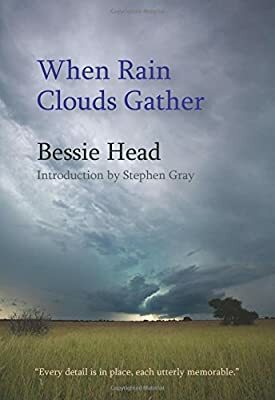 Inspired by her own traumatic life experiences as an outcast in Apartheid South African society and as a refugee living at the Bamangwato Development Association Farm in Botswana, Head's tough and telling classic work is set in the poverty-stricken village of Golema Mmidi, a haven to exiles. A South African political refugee and an Englishman join forces to revolutionize the villagers' traditional farming methods, but their task is fraught with hazards as the pressures of tradition, opposition from the local chief, and the unrelenting climate threaten to divide and devastate the fragile community. 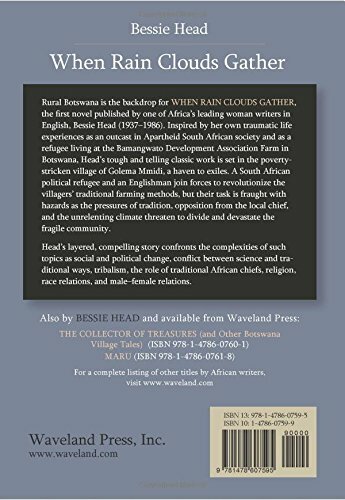 Head's layered, compelling story confronts the complexities of such topics as social and political change, conflict between science and traditional ways, tribalism, the role of traditional African chiefs, religion, race relations, and male female relations. 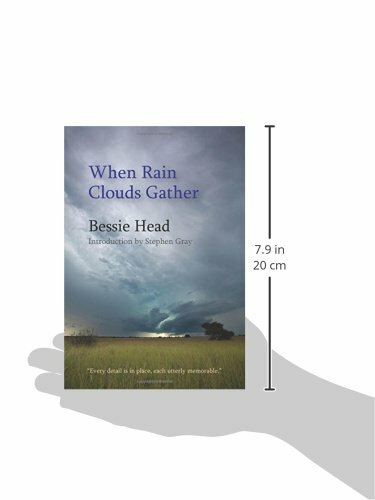 Other titles by Bessie Head available from Waveland Press: The Collector of Treasures and Other Botswana Village Tales (ISBN 9781478607601); Maru (ISBN 9781478607618); and A Question of Power (ISBN 9781478634690).